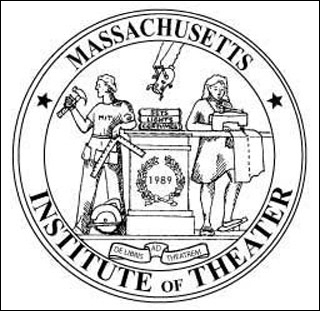 While students at the Massachusetts Institute of Technology pay thousands of dollars for courses, the university will announce a new program on Monday allowing anyone anywhere to take M.I.T. courses online free of charge — and for the first time earn official certificates for demonstrating mastery of the subjects taught. “There are many people who would love to augment their education by having access to M.I.T. content, people who are very capable to earn a certificate from M.I.T.,” said L. Rafael Reif, the provost, in a conference call with reporters Friday. M.I.T. led the way to an era of online learning 10 years ago by posting course materials from almost all its classes. Its free OpenCourseWare now includes nearly 2,100 courses and has been used by more than 100 million people. But the new “M.I.T.x” interactive online learning platform will go further, giving students access to online laboratories, self-assessments and student-to-student discussions. Mr. Reif and Anant Agarwal, director of the Computer Science and Artificial Intelligence Lab, said M.I.T.x would start this spring — perhaps with just one course — but would expand to include many more courses, as OpenCourseWare has done. The M.I.T.x classes, he said, will have online discussions and forums where students can ask questions and, often, have them answered by others in the class. While access to the software will be free, there will most likely be an “affordable” charge, not yet determined, for a credential. The certificate will not be a regular M.I.T. degree, but rather a credential bearing the name of a new not-for-profit body to be created within M.I.T; revenues from the credentialing, officials said, would go to support the M.I.T.x platform and to further M.I.T’s mission. Educators at other universities applauded the M.I.T. move. M.I.T. said its new learning platform should eventually host a virtual community of learners around the world — and enhance the education of M.I.T.’s on-campus students, with online tools that enrich their classroom and laboratory experiences. The development of the new platform will be accompanied by an M.I.T.-wide research initiative on online teaching and learning, including grading by computer. And because the M.I.T.x platform will be available free to people around the world, M.I.T. officials said they expected that other universities would also use it to offer their own free online courses. Mr. Reif said that M.I.T. was investing millions of dollars in the project, and that it expected to raise money from foundations and others.